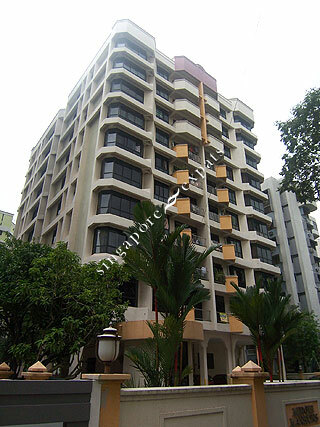 MERGUI MANSIONS is located at 81 MERGUI ROAD in district 08 (Little India, Serangoon Road) of Singapore. MERGUI MANSIONS is a Freehold Condo development consisting of 36 units. MERGUI MANSIONS is completed / TOP in 1995 (estimated), developed by SUM EK PTE LTD.
Educational institutions like ST JOSEPH INSTITUTIONAL INTERNATIONAL, GLOBAL INDIAN INTERNATIONAL SCHOOL, SAN YU ADVENTIST SCHOOL, FARRER PARK PRIMARY SCHOOL, HONG WEN SCHOOL and BALESTIER HILL PRIMARY SCHOOL are near to MERGUI MANSIONS. MERGUI MANSIONS is accessible via nearby FARRER PARK, NOVENA and BOON KENG MRT Stations. Near Jalan Besar, SIM LIM SQUARE and BUGIS.